Ladder Mate – Rack-A-Tiers Mfg. The Ladder Mate saves you time and energy by storing your tools and material. No more going up and down your ladder – have all your tools and accessories close by. 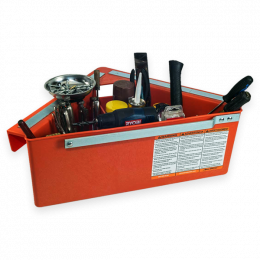 This multi-use product featuring adjustable dividers is great for any tradesman.